Damn the torpedoes! I want to surf in May. I'm going to do my best to sneak a trip in somewhere between Jury Duty (as soon as I hear back) and work. So, what do you think? Toss any comments, suggestions, tomatoes, or preferred dates in the comments below. 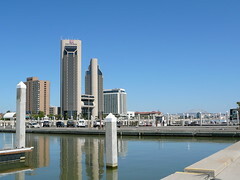 Unless business travel interposes itself, a mid-May trip out to Corpus would be awesome! Count us in.